Our deepest gratitude for your continued support in the fight against this life threatening disorder. Your 2017 donations have helped meet the unmet needs of patients and families whose lives have been touched by CNM/MTM. As many of you know, The MTM program has entered into clinical trials. Our seed of hope that was planted over 22 years ago is coming to fruition, and the lives of our CNM/MTM kiddos, whether passed or still with us, continue to inspire and encourage us. We are humbled to share that the path our foundation has forged is being used for other indications, and we look forward to the day when this disease is eradicated from the list of rare diseases without a cure. We are proud, yet humbled to release this beautiful documentary about Joshua's life, and legacy to find a cure for myotubular myopathy (MTM). Vision, fortitude, resolve, a guarded dream, and a child with the will to live is where our story began. After 24 days in the NICU, we were told to take our child home and enjoy the remainder of the little time we had left. That was February of 1995. Transfer of the MTM1 gene into the weakened muscle tissue of dogs affected by myotubular myopathy restores muscle strength. The disease arises from a genetic mutation that disrupts the production of a protein needed for muscle function, Replacing the gene appears to be corrective. Click here to read the press release. One little boy, who was granted just 15 years on this earth, touched a lot of people for the good. Joshua Frase was born with myotubular myopathy (MTM), a rare genetic mutation of the MTM1 gene that makes it difficult for, primarily males, to crawl, walk and breathe on their own. His parents, Paul Frase, a former NFL defensive lineman for the Jacksonville Jaguars, and wife, Alison Rockett Frase, founded the Joshua Frase Foundation when Joshua was born with the disease. Typically 70 percent of children born with MTM never celebrate their second birthday. The greatest gift is the gift of Hope! This is a season for hopefulness. The Joshua Frase Foundation has been faithful with your investment to find the most advanced research available for congenital myopathies and myotubular myopathy. Will you partner with us financially as we move into this critical stage of several research initiatives? Dr. Dowling is a neurologist and scientist at SickKids. 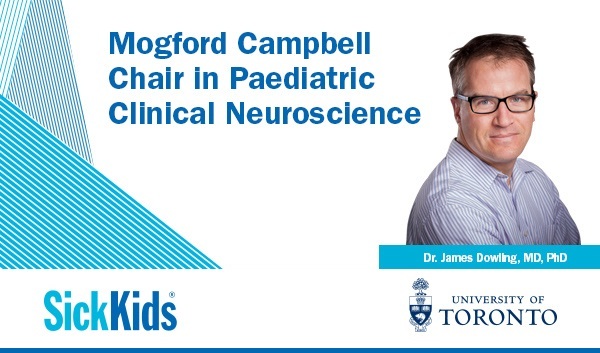 In September 2016, he was appointed as the inaugural Mogford Campbell Family Chair in Clinical Neuroscience for his work in congenital myopathies (a broad term for any muscle disorder present at birth). Dr. Dowling and his team have discovered a drug, previously used as an anticancer agent, that has shown to increase muscle strength and survival in pre-clinical studies. We are in the process of moving into clinical with children and we need your help. By making a gift before the end of the calendar year, you can put your contribution to excellent use immediately. To learn more about this study please ~ download this document. Wishing you and your families a blessed holiday season!